It’s good to be back! I haven’t posted anything since mid-April. I was knee-deep in work. Wish I could say I was away, spending my days and nights basking in the flavors of Provence or Florence, but I was right here, banging away furiously at my computer. When deadlines loom large, the kitchen gets a break. Instead of churning butter and scalding milk, I was feverishly churning words and translating documents instead. When the folks at King Arthur Flour in Vermont sent me their usual blog, I was charmed by the picture of their cinnapineapanana – try saying that without twisting your tongue! This cinnapineapanana was inspired by Ricardo Neves Gonzalez’s Jewish Strudel. The winning combination of cinnamon, dried pineapple and fresh bananas was a palate pleaser. I’ve eaten a lot of strudles in my life and some of them leave that sticky, over-sugary feeling. Not this one. made my own cinnamon filling ) by mixing 1/4 cup of sugar with 1 tbsp of cinnamon, 3 tbsp of water and a knob of butter (as KAF suggested). I’m sure KAF’s cinnamon filling would give this strudel that extra oomph taste-wise. 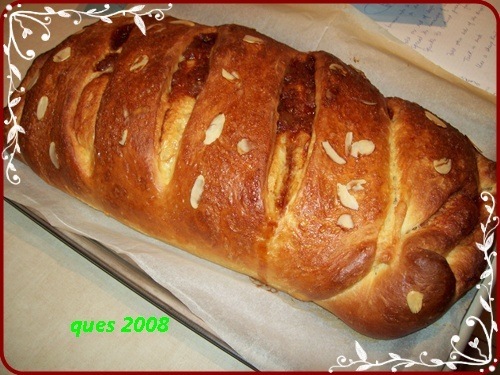 I think I will use the dough recipe as a master recipe for other sweet breads because the taste was perfect. 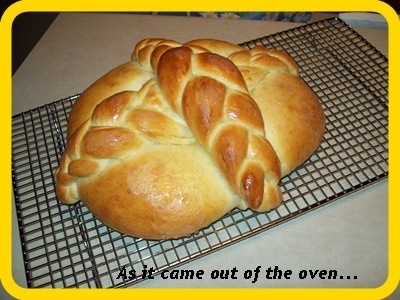 And in spite of the 45-minute baking time, it came out soft and chewy. I was a tad apprehensive about the long baking time (as you can see some parts of it are too dark) so I’ll reduce baking time by 5 minutes the next time I make it. This was a jewel of a strudel. Making it was also a stress-releaser. After my first slice, I was ready to start banging away at my computer again! For today’s blog, I’m featuring two Easter sweet tooth treats. 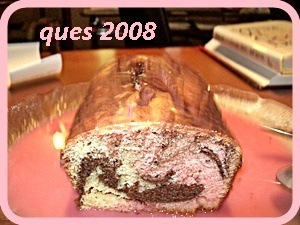 The first – which I made – is a colorful Neapolitan cake. I got the recipe from the Robin Hood web site. Their cake looked much better than mine, but I’m happy I managed to get the swirl (middle photo). Robin Hood says all you need is a toothpick to create that swirl effect. 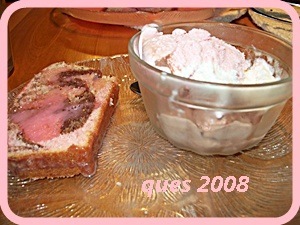 When I made it, I thought I’d get some matching ice cream to complement the cake’s pink, brown and white colors. As you know, Neapolitan ice cream comes in the same colors, and when it’s sunny outside and the air smells of spring, this cake and ice cream combo would tickle the fancy of both young and old. The second sweet tooth treat is from King Arthur Flour of Vermont. I received their newsletter this morning and I was immediately hypnotized. I’m going to try them soon because I was "enchanted" with the way Mary Jane Robbins shared her step-by-step instructions. As you read her post, you get that feeling that she’s smiling as she’s describing it. 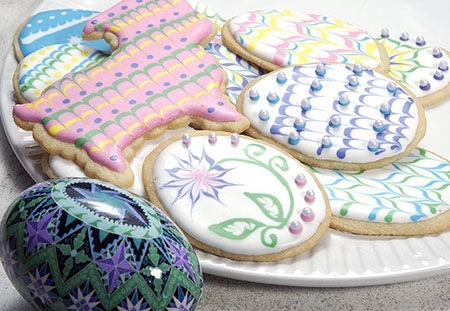 She’s a blogger for the King Arthur Flour (KAF) web site and she talks about how her love for pysanky (decorated Ukranian eggs) inspired her to create these incredible cookie designs. I’m posting the photo here of the cookies but you’ll have to go to the KAF web site if you want to learn how to decorate the cookies (http://www.kingarthurflour.com/blog/2010/03/17/no-cookie-cutter-no-problem-easter-eggs-cookies/. Talk about true inspiration. Looking at the photos lures you into some sort of Wonderland. Again, all you need are toothpicks, pastry decorating bags (you can use plastic ones) and your Microsoft Word program to make the oval shape for the cookies. You have to read Ms. Robbins post. Just look at these cookies! One look at them and in no time, you’ll be itching to don your apron and to put your fingers into gear! Happy Easter everyone! Whatever you choose to do – cake, cookies, or both – make them with that Easter spring feeling! Last summer, I blogged about trying a King Arthur Flour recipe that uses Vermont cheese powder. Since I had no intention of driving to Vermont to buy the cheese powder, I decided to try the cheese packet in Kraft’s macaroni and cheese. It worked beautifully. Even Molly from King Arthur said that using this powder from the macaroni and cheese box was certainly a clever substitute. This was the blog I posted back in July https://sotsil.wordpress.com/2009/07/08/king-arthur-says/. King Arthur said to make burger buns, but I was in a playful mood so I twisted them and came out with these. The July blog had larger photos. These were cropped just to show you how they came out. Two weeks ago, I wanted to do a more ambitious shape. I was a little nervous, but earlier in the day, I had played the motions in my mind over and over again to make sure I wouldn’t end up with a dough fiasco. Pardon the vulgar expression but I managed to come up with an “artsy fartsy” shape that almost made me want NOT to slice the bread. I wanted to throw cement over it so I could preserve it and hang it in my kitchen. Who cares about a Cordon Bleu diploma when you’ve got the proof right there sticking out from the wall? 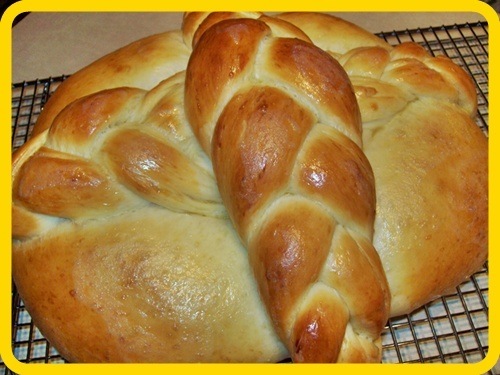 Using the same King Arthur Flour recipe ( http://www.kingarthurflour.com/recipes/cheese-burger-buns-recipe), I made a “boule” then took out a piece of dough to create two braids. I laid them over the ball in crisscross fashion. If you’re into shaping bread and have created nice shapes that you endlessly stare at, do you sometimes think of turning them into pieces of sculpture? 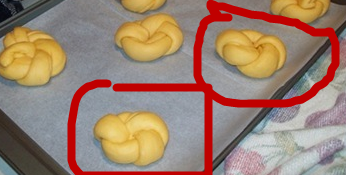 Crazy thought, but since yeast breads are a tricky (and moody) lot, it would be nice to preserve those shapes that remain intact from start to finish, without collapsing or exploding in the oven. I get this funny feeling that shaping bread is like playing golf. You get good days and bad days. Just when you think you’ve got it down pat, the dough either gets runny or feels like rock. Peter Reinhart has written books on bread (Crust & Crumb, Bread Baker’s Apprentice and others) and devotes pages to shaping bread with step by step instructions. I have his Bread Baker’s Apprentice and flip through the photos for inspiration. 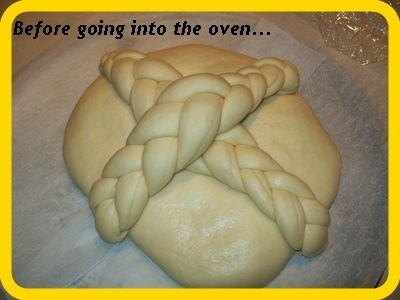 When it comes to shaping bread, there’s no end to your creativity. When you get tired of shaping, you can venture into creating two-tone or three-tone breads, another fun activity that puts my concentration on overdrive hours before baking. From comments on The Fresh Loaf, I learned that artificial coloring is still the failsafe method; Shiao-Ping, a talented and much admired “fresh loafer” said that natural coloring (e.g. beets for purple color) changes during the baking process. 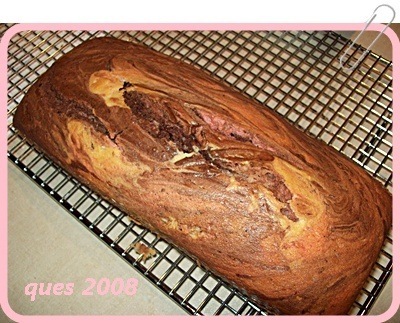 She said that natural beet color makes the dough look nice and purple before baking, but you end up with a dark brown color after baking, possibly due to oxidation. If you browse online, you’ll be surprised at how many new products there are to delight the bread shaper or coloring artist in you!